Contemporary, luxurious, inspired – that’s the Moda Collection. Furniture is uniquely designed with an aesthetic that blends both modern and traditional style. 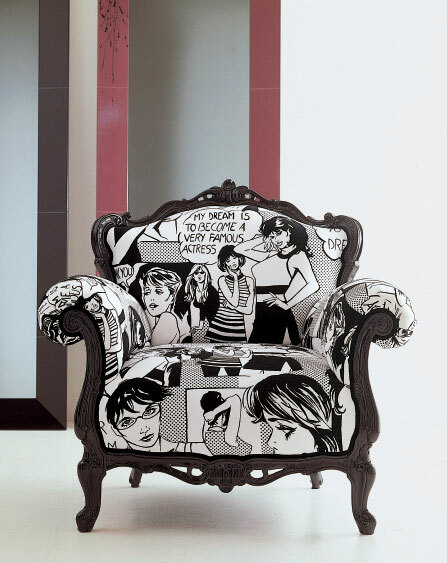 Fresh designs come together with traditional French chairs and sofas covered in eye-catching textiles including comic strips, graffiti, and freestyle poetry. Beautiful craftsmanship meets high-end design concepts, like in this Prince Relax sofa. 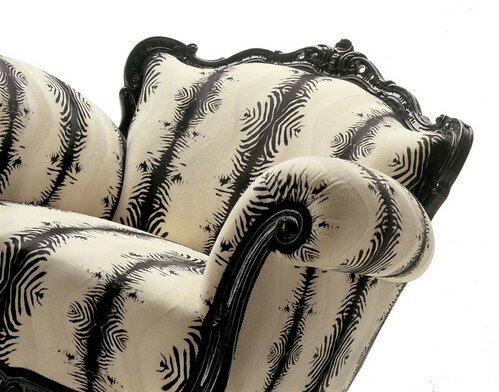 Take a walk on the wild side and marry complete opposites in one luxurious piece of furniture. 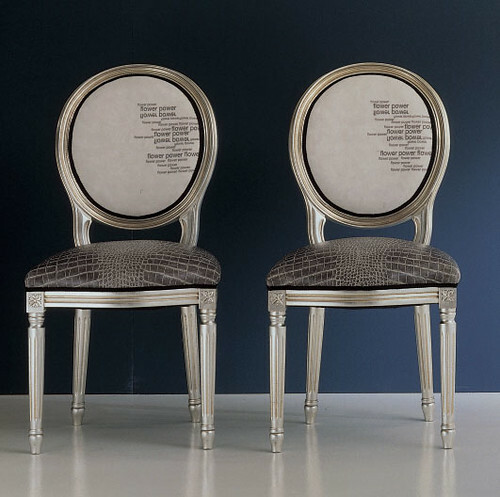 Mix it up with Remix chairs where faux croc meets lines of prose. 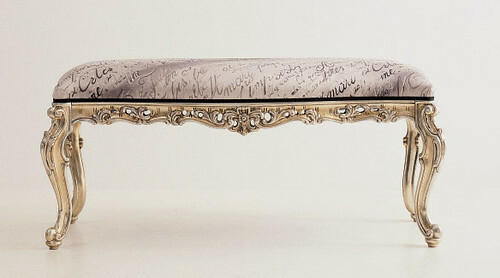 And completely break the rules with this Freestyle bench, where curvy gold leaf legs stand out again freestyle poetry. Modern furniture can have a personality, and Moda knows exactly how to make that happen. Bring a little something spectacular and unexpected to your modern interior with unique finds from the Moda Collection. Or, if you feel inspired, with a quick trip to the fabric store, you can create your own traditional furniture with a twist. What stunning and fabulous furniture!I’d love to curl up on the ‘prince relax sofa’ -though maybe a bit short! But its so beautiful I would find a way!!! I love these – especially the ones with text on them! Oh my goodness! I love these!!! Your best find yet! An Invitation for AphroChic Readers CB2 Opens in San Francisco!